Do you want to download YouTube videos to your computer or to any other device? It’s just a piece of cake! Use online YouTube converter and downloader YouTubNow to get any video content to your disposal. By using YouTube online converter you can download videos from YouTube anytime, anywhere and in any number. You get your videos in a few seconds. You can choose different formats. You get an excellent video finder. You don’t pay for additional services or features. Get all your favorite YouTube videos and songs with you even when you go offline. YouTubNow offers you the possibility to convert and download YouTube content through the online YouTube video converter service. No more searching for different software or installing programs to save your files. You can use our free online YouTube converter in two ways. 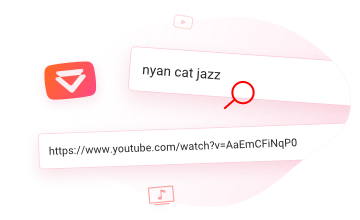 You can either paste the complete YouTube URL or search videos by name or parts of their name. The search function is fast and accurate, just like on YouTube. Since YouTubNow is a modern converter, the ability to save YouTube videos as video files on your computer couldn’t miss from our services. Use YouTubNow online converter YouTube to save video files in MP4 format and enjoy them whenever you want. YouTubNow online YouTube video converter is fast enough, however, you can make it even faster by modifying the links from youtube.com/your_video_link to youtubnow.com/your_video_link. This will open the YouTube video in YouTubNow ready for downloading. You don’t need YouTube account. With our online converter YouTube ads won’t bother you. You can use online YouTube video converter with any OS. You can use any web browsers with YouTube converter online. You don’t need any browser extensions & plugins. Search by the name of the video or directly input the URL to get the YouTube video ready for the download process. After you are done with Step 1, it’s time to choose the quality and format of the video you are going to download using our online YouTube video converter. Then press download and enjoy your file. Soon enough you will be able to use our free online YouTube converter to download files directly on your iPhone. Our developers are working on these features and it will be available shortly. The same quality and power to download YouTube content on your computer is now available for Android users as well. Use your Android tablet or smartphone and get your favorite songs and video with our free online YouTube converter. YouTubNow is a simple service that is also transparent in order for customers to be able to trust it an use it with no problems. And if you are still wondering about different aspects of YouTubNow, you might find answers in the questions below. Using a YouTube Converter - Is It Legal? Google doesn't want you to download content on your computer since that makes them lose visits, however, there’s nothing illegal about downloading YouTube content for personal use. 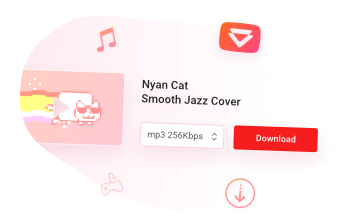 The YouTubNow online YouTube video converter service respects copyright protocols and encourages their users to respect that as well and only use the downloaded files for themselves. Copyright infringement strictly forbidden and all the copyrighted YouTube videos are blocked from being listed in the search results. Is YouTubNow free for all users? Yes, this is a free online YouTube converter that you can use without every worrying about payments. Furthermore, unlike other free convertors, YouTubNow doesn’t have any demo limitations to give you an unpleasant experience. YouTubNow does not collect any personal data about your account or navigation, all the downloaded videos and activity is private. Is there a daily limit on how many times I can use YouTubNow? No, there are no limits for using YouTubNow. Use it as many times as you want to get your favorite songs. It is absolutely safe to use the online YouTube video converter provided by YouTubNow. We can’t also be responsible for the downloaded content itself, because it’s not our property. However, we can vouch for the safety of the online service we offer. What If I want to Share the Download Link for the File I am Converting? You can do that through the dedicated Social Media buttons on the website or simply by copying the URL and sharing it with your friends.